Mathematical and statistical modelling is crucial in areas ranging from traditional applications in physical and computer sciences, engineering and technology to diverse emerging applications in health and life sciences, finance, business and economics, environment and ecology, as well as governance and social systems. New types of highly qualified specialists are needed to develop, analyze and apply state-of-the-art quantitative approaches to a variety of issues of unprecedented complexity. 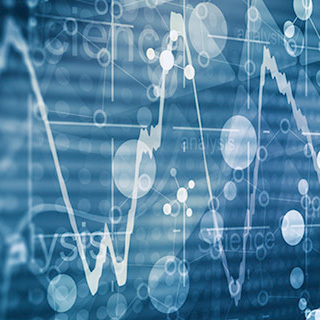 With its interdisciplinary approach and focus on critical areas of application, Laurier’s PhD in Mathematical and Statistical Modelling is unique in Canada. You are exposed to the collaborative nature of modern solutions to ongoing scientific questions. You are guided by a core group of highly active participating faculty with national and international reputation in a diverse set of cross-disciplinary research areas unified by the field of mathematical and statistical modelling. Learn to communicate effectively with researchers in other disciplines. This interdisciplinary PhD program will turn you into an independent researcher capable of succeeding in careers in research, teaching, industry or government. Students may work on research that spans more than one domain. This full-time program can be completed in four years. You will engage in a specific area of research under the supervision of one or more faculty members, making an original contribution to knowledge. You will start working on your research project in year one to become familiar with the area of research and develop a research proposal by year two. Typically, you will complete two terms of coursework, followed by a comprehensive examination. Additionally, you should attend an interdisciplinary seminar in applied modelling and participate in a research modelling symposium. A teaching component, through teaching assistantships for undergraduate courses, will be part of your training when it’s available. Eligible domestic students admitted to study on a full-time basis receive a minimum of $25,000 a year. This support may be made up of teaching assistantships, internal/external scholarships, and/or faculty-funded studentships or research assistantships. These domains foster collaboration among faculty and students across Laurier and diverse sectors of industry and academia. A master’s degree in a quantitative discipline such as mathematical, statistical, actuarial, computational or engineering sciences, including operations research and risk analysis, with a minimum A- standing. Exceptional students may obtain early entry to the PhD program from an eligible master’s program. Contact a prospective advisor prior to submitting your application.